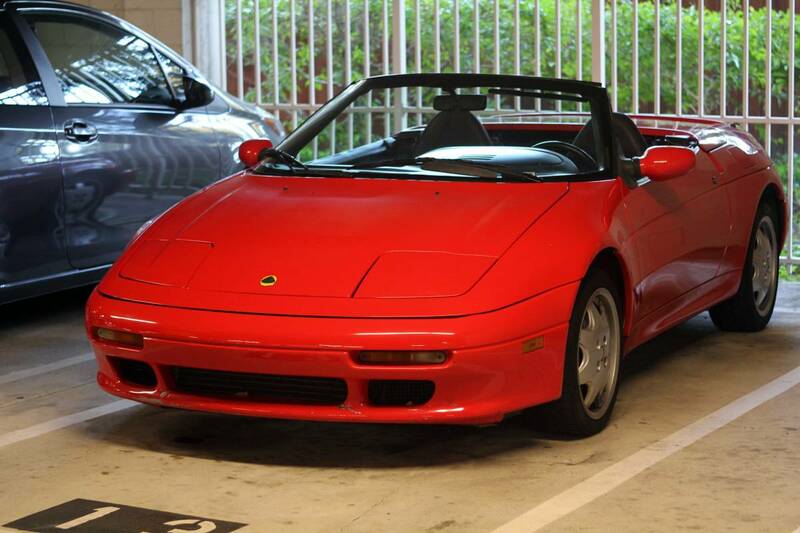 Just A Car Geek: Lotus Elan M100 - Still A Bargain, But For How Long? Lotus Elan M100 - Still A Bargain, But For How Long? 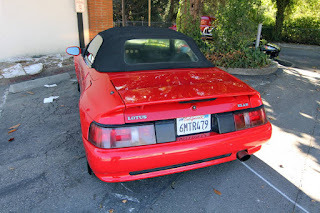 I first wrote about a Lotus Elan M100 10 years ago. It was a bargain back then. It's still a bargain today, but prices are rising. People seem to be figuring out that despite it being front-wheel-drive and using an Isuzu engine, it's a damn good sports car worthy of the Lotus name. As I wrote in that early post, Lotus couldn't have introduced this car at a worse time. In the U.S. economy was tanking. Trying to sell a $39,000.00 (about $75,000.00 in today's money) sports car during a recession isn't easy. 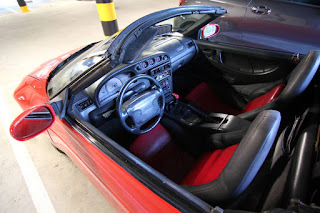 To make matters worse, Mazda introduced the Miata just a few month later. It looked like and in some respects performed like the ordinal Elan. A base model cost roughly $13,500.00 (around $27,500.00 in today's money). You could buy 3 Miatas for around the price of an Elan. There was also the elephant in the room called General Motors. This was the first GM / Lotus car. GM had purchased a majority stake in Lotus in 1986 and people were skeptical of how they would handle Lotus. 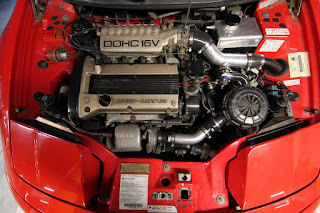 Yes, they convinced Lotus to use the Isuzu engine (Prior to GM's ownership an early prototype of the M100 - called the M90 - used a Toyota engine) and much of the switch gear - along with the steering wheel and other minor parts - could easily be recognized as being from GM's parts bins. But if Lotus was still independent they would have bought those parts from other manufacturers anyway. All GM did was make it cheaper and more convenient for Lotus to acquire and use those parts. The best thing GM did was invest in the car. They gave Lotus $55 million dollars for development and testing. They took that money and developed a FWD car that handles as well as - or better than - most RWD cars. 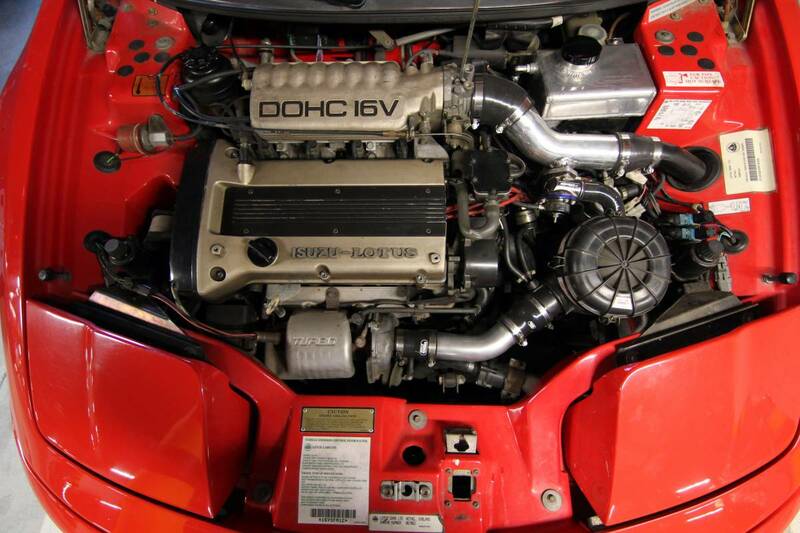 They massaged the Isuzu engine and managed to get over 160 HP out of it. The M100 could hit 60 MPH in 6.5 seconds. They tested everything. According to one website "over a two-year period 19 crash cars and 42 development vehicles were built, logging nearly a million test miles in locations from Arizona to the Arctic. The Elan was driven at racing speeds for 24 hours around the track at Snetterton. Finally each new car was test-driven for around 30 miles at Lotus's Hethel factory to check for any manufacturing defects before being shipped to dealers." This was all stuff Lotus could never do before on their tight budgets. They created a Lotus that was not only fun to drive, but reliable, too. 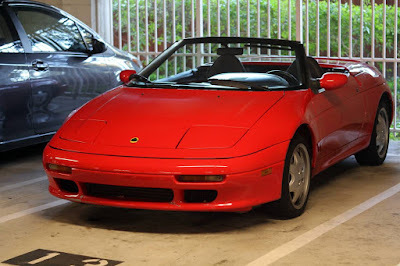 Sadly, after all that, Lotus only managed to build 3,855 cars from late 1989 through 1992. Less than 600 made their way to the U.S. This car looks to be in very nice condition. The seller says it has upgrades, but doesn't mention what was done. It has 99,733 miles on it, which prior to the M100 was almost unheard of mileage for a Lotus. It just goes to show how well Lotus built this car. If you're looking for a rare fun to drive sports car with a legendary name, a Lotus Elan M100 is tough to beat. Located in Walnut Creek, CA, click here to see the Craigslist ad. These are decent little runners, something you would rent on a tropical island for a week. But I don't see how $18K is a bargain when a 1989 Lotus Esprit Turbo SE can be bought for $20 - $25K, and that's an F1 car compared to these. I discovered your blog through the BMW E21 Alpina post but missed the chance to buy the car. Those are fantastic urban sporty cars. Nice blog.